Ruth indicates "In 1983 100% of Universal Firearms was sold to Lynn Lloyd of Little Rock, AR, becoming part of the Iver Johnson's Arms acquisitions". This is a good starting point for the information now available. The Florida corporate records for Dynamic Merchandise 1970-1983 show Abe Seiderman first as Vice-President, than as President. In February 1983 Abe Seiderman paid the 1983 corporate taxes for Dynamic Merchandise. All other names present on this document were lined out, and consisted of the prior management. In March 1983 Dynamic Merchandise canceled the "Universal Firearms" trademark. Production of all of Universal's products ceased. In May 1985 Dynamic Merchandise paid a reinstatement fee to Florida, along with taxes for 1984 and 1985. The annual report for 1985 identified the President as Glenn Barber and Secretary as Mickey McSpadden, both of 2202 Redmond Rd in Jacksonville, AR. The Chairman of the Board was identified as Phillip L. Lloyd of Little Rock, AR. In June 1985 Phillip Lynn Lloyd incorporated Dynamic Merchandise in Arkansas. In August 1985 Florida received Articles of Merger from Dynamic Merchandise of Florida indicating the company was merging with Iver Johnson Arms, Inc. of Arkansas and that Dynamic Merchandise had ceased to exist. 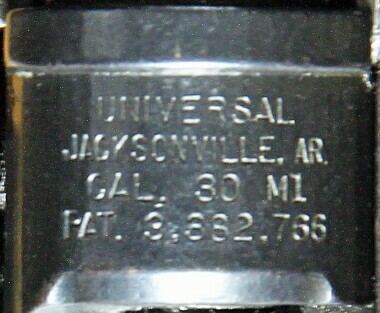 In July 1985 Florida received Articles of Merger from Dynamic Merchandise of Little Rock, AR for "Universal Firearms, Inc." to be merged into Jacksonville Ordnance Company of Jacksonville, AR. Universal Firearms of Hialeah, Florida ceased to exist. The address 2202 Redmond Rd, Jacksonville, AR was the manufacturing facility of Iver Johnson's Arms for their M1 carbines. Jacksonville Ordnance Company was incorporated in Arkansas in June 1985 by a corporate attorney, using his office as the business address. This company appears to have existed on paper only. Keep reading. When the production of Universal carbines resumed their operation was located at the Iver Johnson's Arms facility at 2202 Redmond Rd. in Jacksonville, AR. The carbines they produced remained separate from Iver Johnson's and retained the Universal markings and model numbers used by Universal Firearms of Hialeah, FL. However, the number of models offered and the quantity produced was nowhere near what it had been in Hialeah, FL. The information received by Ruth indicated it took the new owner and his management two years to recalibrate the machinery and start production again. The source also indicated none of the Universal employees stayed on with the company. The source did not indicate where the company was when it started production again. It appears the reason it took two years to start production again is the equipment was relocated to Jacksonville, AR from Hialeah, FL, and, none of the employees from Florida wanted to move to Arkansas with the company. Ruth indicates the new owners inability to retain any of the Universal employees was a significant factor in the new owner's inability to produce what once was. Model Barrel Band Stock Finish Drill/Tap Scope Misc. markings on the receiver ring were changed to reflect the new location. In November 1986, less than two years after the corporate record changes show Universal had moved to Jacksonville, AR, Phillip Lynn Lloyd filed for Chapter 7 bankruptcy, in Federal Bankruptcy Court in Little Rock. Phillip Lynn Lloyd had financed and/or owned a number of different companies, all of which went into Chapter 7 about the time he did. Iver Johnson's Arms Inc. filed Chapter 11 in Little Rock in October 1986. Lloyd was one of several who owned the company. Iver Johnson's Arms Inc. survived, clearing Chapter 11 in May 1989. Universal was no longer part of their business. Further regarding Iver Johnson's history is documented on the web page devoted to the Iver Johnson's carbines. Ruth's source indicated new machinery had been acquired by Universal after the company's purchase by Lloyd. This was not paid for in full and repossessed. The disposition of the machinery that had been in use before this new equipment, is not known. Because of the design of the Universal carbines the majority of their parts were not capable of being used on the Iver Johnson's carbines, or any other carbines. At some point in the 1990's many of Universal's spare gun parts showed up at Numrich Gun Parts in West Hurley, New York. Numrich purchases wholesale lots, often from companies that are going out of business. The Universal parts at Numrich can be viewed here: Numrich Gun Parts. No further record of Universal Firearms has been found. Jacksonville Ordnance Company is not identified in any of the bankruptcy proceedings and, as of 2008, Arkansas corporate records indicate the company is still active. However, it does not appear to have ever existed. In 2001 Phillip Lynn Lloyd was indicted and found guilty of failure to reveal all of his assets, along with perjury in his testimony to the Bankruptcy Court. Lloyd appealed his conviction and sentencing. The Eighth Circuit Court of Appeals upheld his conviction but returned the case to the lower court for resentencing. Ruth's source indicates Universal Firearms ceased to exist in 1987. This issue is not specific to the carbines made by Universal. The causes of out of battery firing are inherent in the design of many semi-automatic rifles. The causes of this malfunction are covered on the web page devoted to Safety Issues as it applies to all M1 carbines, including the original WWII GI carbines. Every part on every firearm has a lifespan. 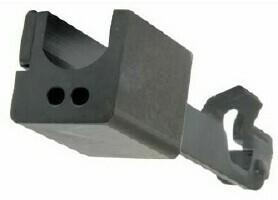 Some of the parts manufactured by or for commercial carbine manufacturers have not been hardened to GI specifications. This can shorten the life span of the part. 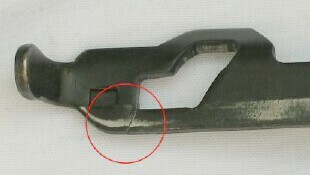 Almost every commercial carbine manufacturer has had to contend with parts not properly hardened at some point during their production, Universal Firearms included. Occasionally a slide used by Universal after their design change starting at s/n 100000 will crack or break at the camcut opening that engages the right bolt lug. The cause has been traced to occasional problems with heat treatment for proper hardening. This is not an issue for all of their slides and breaks/cracks on any carbine slide can be caused by several factors related to use, wear improper ammunition, improper headspace and/or a number of other causes. Used carbines by all manufacturers, GI or commercial, should be examined occasionally for conditions that could lead to this problem. Cracked or broken slides cannot be repaired. They must be replaced. There have been two separate sources for new replacement slides. 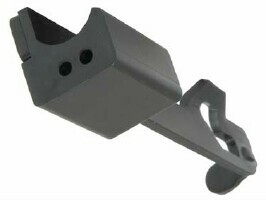 Numrich's slides are less expensive than the other but the weld of the handle to the slide body has a tendency to snap. The other source (BKHose) is slightly more expensive but the quality is worth the few extra dollars. Having closely examined and used both I'd recommend going with the ones manufactured by BKHose. Before you buy, make sure the slide you buy is the same type as the slide you are replacing. The Universal slides came in at least four different variations used at different times that are not interchangeable with one another.